Quantum computers promise to advance certain areas of complex computing. 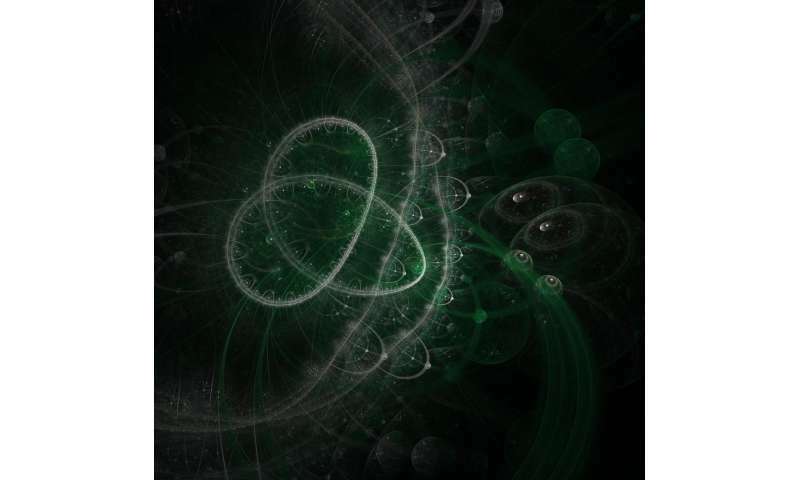 One of the roadblocks to their development, however, is the fact that quantum phenomena, which take place at the level of atomic particles, can be severely affected by environmental "noise" from their surroundings. In the past, scientists have tried to maintain the coherence of the systems by cooling them to very low temperatures, for example, but challenges remain. Now, in research published in Nature Communications, scientists from the RIKEN Center for Emergent Matter Science and collaborators have used dephasing to maintain quantum coherence in a three-particle system. Normally, dephasing causes decoherence in quantum systems. Quantum phenomena are generally restricted to the atomic level, but there are cases—such as laser light and superconductivity—in which the coherence of quantum phenomena allows them to be expressed at the macroscopic level. This is important for the development of quantum computers. However, they are also extremely sensitive to the environment, which destroys the coherence that makes them meaningful. The group, led by Seigo Tarucha of the RIKEN Center for Emergent Matter Science, set up a system of three quantum dots in which electron spins could be individually controlled with an electric field. They began with two entangled electron spins in one of the end quantum dots, while keeping the center dot empty, and transferred one of these spins to the center dot. They then swapped the center dot spin with a third spin in the other end dot using electric pulses, so that the third spin was now entangled with the first. The entanglement was stronger than expected, and based on simulations, the researchers realized that the environmental noise around the system was, paradoxically, helping the entanglement to form. According to Takashi Nakajima, the first author of the study, "We discovered that this derives from a phenomenon known as the 'quantum Zeno paradox,' or 'Turing paradox,' which means that we can slow down a quantum system by the mere act of observing it frequently. This is interesting, as it leads to environmental noise, which normally makes a system incoherent, Here, it made the system more coherent." Tarucha, the leader of the team, says, "This is a very exciting finding, as it could potentially help to accelerate research into scaling up semiconductor quantum computers, allowing us to solve scientific problems that are very tough on conventional computer systems." Nakajima says, "Another area that is very interesting to me is that a number of biological systems, such as photosynthesis, that operate within a very noisy environment take advantage of macroscopic quantum coherence, and it is interesting to ponder if a similar process may be taking place." In other words the unknown is unknown and the known is ignored, i.e. source. Not Science.